Franklin Graham has produced a gripping documentary that revolves around two American aid workers in West Africa, who were infected with the deadly Ebola virus. The film, backed by Samaritan's Purse, will tell the story of Brantly and Writebol, and the race against time to get them back to the American soil for treatment. Graham, CEO of the evangelical organisation, revealed that Samaritan's Purse workers were holding the "last line of defense in a crisis the world was largely ignoring," with hundreds dying as the situation only got worse. "When the disease struck Dr. Kent Brantly and hygienist Nancy Writebol, we knew we had to get them home for treatment. It was their only chance, yet it was something no one had ever done," the executive producer said. The Ebola outbreak started in March 2014, and had spread uncontrollably by June. In Liberia, Guinea and Sierra Leone, around 28,000 people had been infected with the virus, and over 11,000 of them succumbed to it. During this time, Samaritan's Purse rose to the occasion to provide aid, with its team working endlessly to ensure that Brantly and Writebol found safe passage back to the U.S. 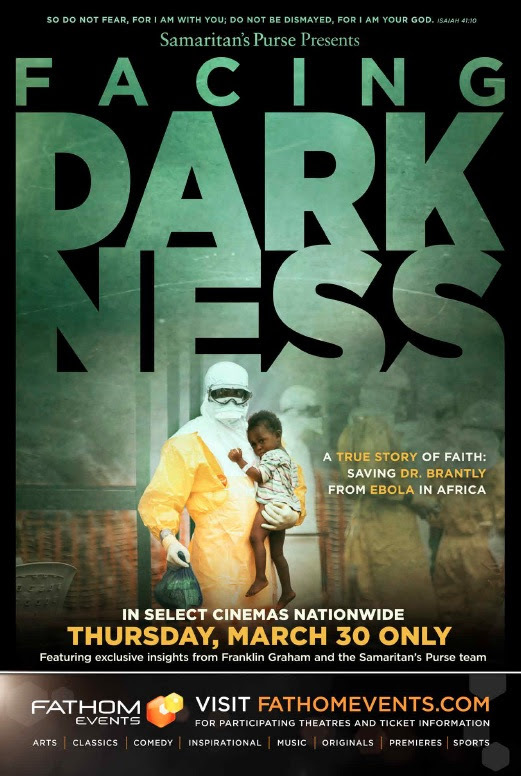 The documentary, titled 'Facing Darkness,' was filmed in Liberia and in the U.S., where the events surrounding Brantly and Writebol occurred, and will feature interviews with victims of the virus who fought the condition off. Parallel to the story of how they were evacuated, treated, and cured, the film will also focus on the journey of faith that the duo undertook in those trying times. Brantly reportedly revealed, "Faith is not something that makes you safe. You had to face death in the eye and decide, 'Who am I going to be today?'" Speaking of the Christian organisation's endurance and perseverance to remain in Liberia under those unsafe conditions, Graham explained, "I think when there's a crisis, God wants us to be there. He doesn't want us to run away. God has put us there for a reason, and he expects us to do something about it."